New York regulators hit insurance underwriter Lockton Affinity with a $7 million fine for unlawfully providing liability insurance to New Yorkers who bought policies from the National Rifle Association. Vullo explained Lockton, which served as the administrator for the NRA-branded Carry Guard insurance, agreed to the pay the fine as part of a consent order with the Department of Financial Services for violating New York insurance law. According to the announcement, a DFS investigation revealed that the NRA did not have a license to run an insurance business in the state, but actively marketed the product anyway. The NRA advertised Carry Guard policies as covering legal expenses for individuals charged with a crime after a self-defense shooting. The state licensed Lockton Affinity as an excess line insurance broker, which allows the company to offer policy holders insurance options unavailable from licensed insurers in the state. However, Lockton failed to comply with state law and misrepresented its compliance record. State law requires brokers to approach three separate authorized insurers to see if one of them will write coverage for the risk, but all three must decline the request before the broker pursues another option. Lockton “relied upon the single annual declination with respect to all other insureds who received policies under the programs,” the announcement says. The investigation found Lockton issued 680 Carry Guard policies to New York residents between April and November in 2017, but their relationship goes back nearly two decades. Between January 2000 and March 2018, Lockton and the NRA offered at least 11 insurance programs in New York, which generated more than $12 million in premiums and $758,460 in admin fees. As part of the agreement, Lockton will refrain from participating in Carry Guard or other similar policies to New York residents and entering into agreements with the NRA. 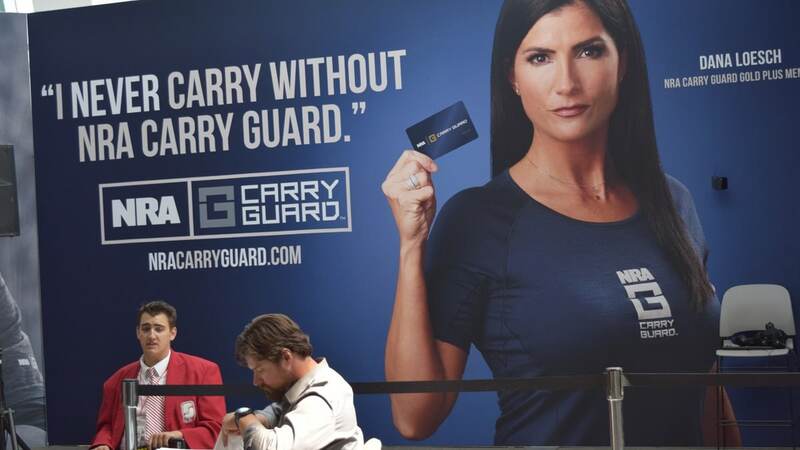 The NRA released Carry Guard policies last year during the organization’s annual convention. In fact, the business venture — that offered high-priced firearms training and products as well as the policies — served as the centerpiece for the event. However, the endeavor has entered uncertain ground since Lockton and underwriter Chubb cut ties with the gun lobby following February’s school shooting in Parkland, Florida. New York regulators launched the probe in 2017 after gun control advocacy groups began pressuring the state and companies involved to “stop murder insurance.” The companies involved and the NRA said they cooperated with the state investigators.